"My first flight was with a barnstormer at the age of five. I loved it! I also tried to 'fly' out of the barn loft with an umbrella. This was less than successful..."
The indomitable Marguerite Jean Terrell Moreo McCreery has "...slipped the surly bonds of Earth. And danced the skies on laughter-silvered wings." She had a lifelong love affair with flying and her passion will undoubtedly continue to fuel many who will follow in her footsteps. Jean was born on April 28, 1924, in Troy, Ohio to Ivan and Marguerite Terrell. Just five years later, the young girl took a flight with a barnstormer and fell in love with flying. Following graduation from Troy High School, she worked as a draftsman for the Waco Aircraft Company. It wasn't until her freshman year at Ohio University that she truly put her love of flying into action. She enrolled in ground school training as part of the CPT (Civilian Pilot Training) program. The following summer, she began flight training at the Treaty City Airport in Greenville, Ohio. She earned her hours using money from her job at the aircraft company. 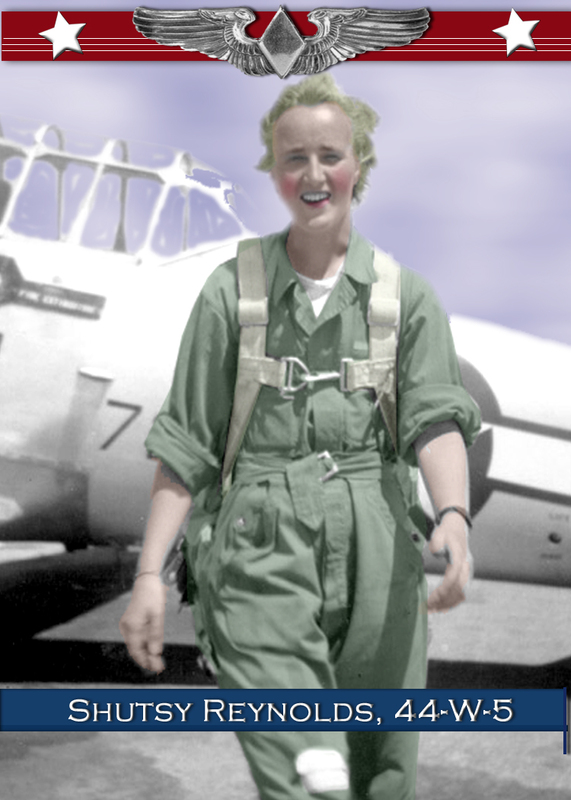 In November of 1943, Jean had accumulated enough hours for her private pilot's license and applied for WASP training. She was accepted into class 44-W-10 and arrived with 120 other hopeful women pilots at Avenger Field, Sweetwater, Texas, in May of 1944. During training, the class was told that the WASP would be disbanded at the end of the year. Jean fully embraced the training and loved being a member of Class 44-10. "When we were in training...we were told that our class would not have a yearbook. Peggy Weber and I decided to publish one ourselves. It was a great success and we spent the profits eating steak in Sweetwater." After seven months of training, Jean and 67 of her classmates graduated and earned their silver WASP Wings. Because 44-W-10 was the last class of Army Air Force Flight Training for women, dignitaries came from across the country, including over 100 active duty WASP. General Hap Arnold, Lt General Barton K. Yount, and Director Jacqueline Cochran each spoke as part of the final WASP graduation ceremony. It was December 7, 1944. Following graduation, Jean was assigned to Randolph Field, San Antonio, Texas, where she flew engineering test flights and check flights in the AT-6 until the last day. On December 20, 1944, the WASP were deactivated and Jean paid her way from Randolph Field, Texas to the Banana River Naval Air Station in Florida, where she married her high school sweetheart, Earl Moreo, Jr.
After WWII ended, the young couple settled in Troy, Ohio and raised a family of ten children, five boys, and five girls. Earl worked as a toolmaker while Jean stayed home caring for the family. In 1970, Jean went back to work as a civil engineering draftsman, working for the city of Vandalia, Ohio for seven years. She also drove a school bus and for three years, delivered RFD mail. Following the untimely death of her husband, Jean began a new chapter. "I took my car, clothes, typewriter and $200 and left for California." She worked as a draftsman and helped her daughter with her family. Two years later, she moved to Arizona and got another job and helped her son with his family. When her mother became ill, she moved back to Ohio and worked for an engineering consulting firm in Columbus. On a trip to Marietta, Ohio to buy easements for AT&T, she met a widowed toolmaker named John W. McCreery. As she described it later, "A year later, we were married in my hometown church in Troy with all my children, grandchildren, our families and friends in attendance." Jean never met a challenge she couldn't tackle. In 1993, Jean attended the Women In Military Service to America opening at Arlington. The then President of the WASP, Vi Cowden, asked her, "What are you willing to do for the WASP?" She mentioned that the WASP Newsletter needed an editor and Jean agreed. She became editor the WASP News. In 2002, she was elected for a two-year term as National WASP WWII Secretary. In 1995, Jean and her classmate reprised their class book, updating and publishing "44-W-10, The Lost Last Class at Avenger Field." In her later years, she continued to take on new challenges, representing the WASP at different events around the county. She also found to time to volunteer to cook for her parish priest. In 2010, Jean and her sister WASP were honored with the Congressional Gold Medal for their selfless and pioneering service as the first women in history to fly America's military aircraft. She celebrated her 94th birthday on April 28th. Jean took her final flight on May 10, 2018. She is survived by her children and their spouses; Martha Fischer, Earl Moreo III, William Moreo, Emily Friend, Mary Farrell, Weezie Bowser, Joe Moreo, Matt Moreo, Maude Clemons, and Robert Moreo. Also left to honor her memory are 23 grandchildren and 19 greatgrandchildren. A service to honor Jean's life was held at St. Patrick's Church in Troy on July 1st, 2018. As you remember the life of this unstoppable and unforgettable WASP, please consider a donation to the Women's WWII Memorial at Arlington National Cemetery. We interviewed Jean for our Wings Across America project in 2003. She and her friend, WASP Betty Turner, stayed with us in our home in Waco. It was a delightful few days. I can still remember her warm, deep laugh...and she did love to laugh. Their trip to Texas was another grand adventure for Jean and we were honored to be a part of it! God bless Jean, her family and all of us who loved her. May we all be as vibrant and blessed as this remarkable WASP. The second to last page of 44-W-10's classbook. WASP Frances Ellis Winter Brookings, 100 years old, died at Forest Glen, Springfield, Ohio, on April 12, 2018. 'Fran' was born in DuBois, Pennsylvania, on July 2, 1917, the fourth child and third daughter of Maude Elizabeth Baker Winter and Francis Ellis Winter. At an early age, her family moved to Erie, Pennsylvania, where she lived until 1934 when she moved to Hot Springs, Arkansas. She was educated at Hendrix College, Conway, Arkansas; Oklahoma College for Women (now known as Oklahoma University of Arts and Sciences at Chickasha, Oklahoma); and Louisiana State University where, at age 59, she earned a Master's degree in Library Science. She lived in Shreveport, Louisiana for over six decades and in 2008 moved to Springfield. During World War II Fran earned a pilot license and, completing all requirements, was accepted as one of the 103 trainees in WASP class 44-7. 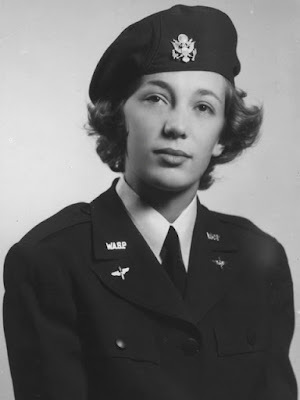 September 8, 1944, after successfully completing over seven months of Army Air Force flight training, Fran and 58 of her classmates graduated, earned their silver WASP wings and became Women Airforce Service Pilots -- the first women in history to fly America's military aircraft. Following graduation, Fran's official Army orders sent her to Columbus Army Air Field, Columbus, Mississippi as part of the Flying Training Command's 30th Army Air Force -- 2112th AFBase Unit. While there, she would have flown AT-10 flight testing missions as well as ferrying, utility and administrative missions. 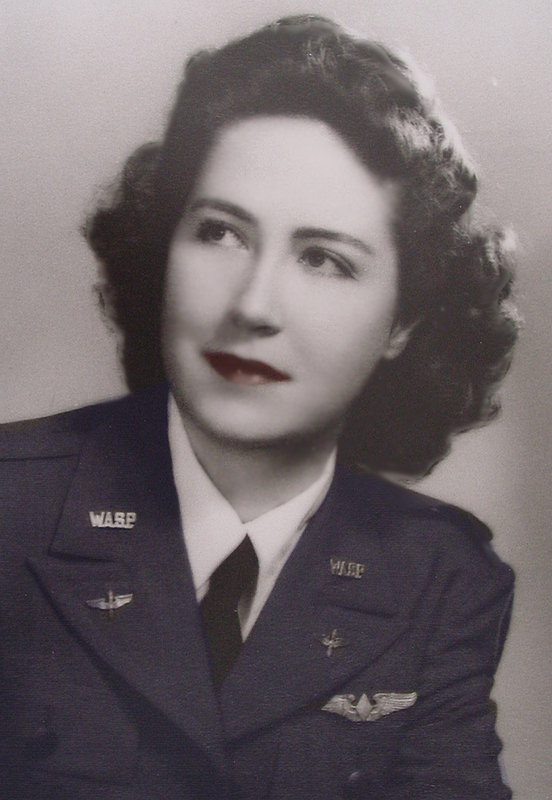 For that service, Fran and her WASP sisters were awarded the Congressional Gold Medal in 2010. It is the highest civilian honor Congress can bestow. Following WWII, Fran married H.N. Kinney Brookings and they began their life together. From 1970 to 1982 she was employed by the Caddo Parish Schools (Shreveport, LA) as an English Teacher and Librarian. Fran was a member of North Highlands United Methodist Church (Shreveport, LA) and, more recently, High Street United Methodist Church. She was active in many civic, church, and philanthropic activities, including the United Methodist Women, P.E.O. Sisterhood, Women's Auxiliary of the Springfield Symphony Orchestra, the Louisiana Retired Teachers' Association, and Delta Kappa Gamma Sorority. Fran was predeceased by a son, Nason Brookings, and her husband H. N. Kinney Brookings. She is survived by a daughter, Deborah Brookings Norberg (Reg) of Surprise, Arizona; two sons David Brookings (Kay) of Kansas City, Missouri, and Jeffrey Brookings (Allison) of Springfield, Ohio; seven grandchildren; and six great-grandchildren. Fran's family would like to express their gratitude to the staff of The Legacy at Forest Glen for taking such good care of our mother these past four years. A celebration of Fran's life will be held in Shreveport, Louisiana, where she lived most of her adult life and, with Kinney, raised her four children. Respectfully posted from the Springfield News-Sun / Apr. 22, 2018 with additional WASP facts and photo added by Wings Across America. God bless all those touched by the life of this wonderful WASP. 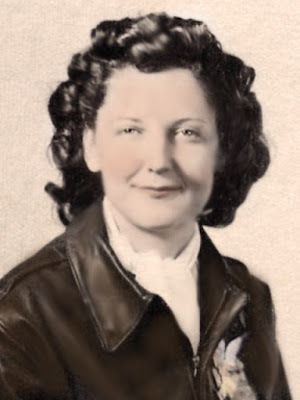 WASP Betty Lee Heinrich Berkstresser was born May 12, 1919, in Houston TX. She peacefully passed in her sleep and took her last flight on July 1, 2018. She was 99. Betty was a native Houstonian. She attended Travis and Browning Elementary, James Hogg Middle School, La Porte High School and was a graduate of the University of Houston. When a U of H math professor for whom she was grading papers asked, “Would you like to be a pilot,” Betty jumped at the chance to learn to fly. She immediately enrolled in the Civilian Pilot Training program at U of H, took her flight training at Hobby Airport and began adding hours to her logbook. Betty’s love of flying enabled her to serve as a Women Airforce Service Pilot (WASP). She was accepted into the 43-4 class of WASP trainees and reported to Avenger Field, Sweetwater, Texas. Betty’s favorite plane was the AT-7, in which she flew over 500 hours. Following her graduation in August of 1943, she was assigned to Love Field in Dallas, Texas as a ferry pilot, as a ferry pilot and then as a Link Trainer instructor in Orlando, FL. After a transfer to Hondo Army Air Field in Hondo, Texas, a navigation and engineering school, Betty’s assignment was navigational flying in C-45s training cadet navigators. She met her soon to be husband, pilot Virgel K. Berkstresser (Herky), while in Hondo and remained based there until the WASP were disbanded. Two days after the WASP were disbanded, Betty married her co-pilot, and they later settled in Houston to rearing their family. Betty was a wonderful mother to her four children: Betty Keene, a former NASA aerospace engineer and private pilot; Peggy, a former teacher and outdoor educator; Terry, materials manager and private pilot; and Kerry, an actuarial analyst, and hot air balloonist. While rearing their family, Betty taught multiple grade levels for many years at Houston ISD elementary schools Garden Villas, Bastian, and Golfcrest, eventually retiring from teaching in 1983. Throughout her retirement, she immensely enjoyed visits from former students and room mothers. Betty loved to read, garden, sew, quilt, stargaze, and travel. She rode more than 50,000 miles around the U.S. and Canada on her Honda 500cc motorcycle with Herky and Garner State Park with friends. She and Peggy took her two grandchildren on yearly road trips throughout the west and to Canada. Gallivanting, whether around the country or just around town, was always much loved. A special memory was the “extraordinary day” when she and all WASP were honored in Washington D.C. at the Capitol with the Congressional Gold Medal for their pioneering work during WWII. Following Virgel’ s death in 2007, Betty stayed in her Houston home living with daughter, Peggy, and later several live-in caregivers. Her grand backyard full of fountains, flowers, and birds was always a joy. After watching the "Treehouse Masters" television program, Betty had her treehouse built in Leakey overlooking the Frio Springs. Unfortunately, a fall and a hospital stay required a move to an assisted living facility, however, she spent time at her treehouse, “Betty’s Birdhouse”, whenever she could. Betty was predeceased by her parents, Rhea and Joseph Heinrich; sister, Dorothy; and brother, Raymond. Surviving are daughters Betty and partner Bill Hezlep of Round Top, TX, Peggy of Leakey, TX, Kerry and partner Barry Barnett of Dripping Springs, TX; son, Terry and wife Patti of Leakey, TX; brother James of Baytown, TX; sister-in-law and fellow WASP, Barbara Willis Heinrich of Hayward, CA; grandchildren, Warren Berkstresser and his wife Reanne of Seattle, WA and Kristen and her husband Tyler Carter, and great-grandchild, Owen Carter, of Houston, TX; grand cat Tess Barnett (Kerry’s cat); and numerous nieces and nephews. The family will celebrate Betty’s life privately. Betty would say, "Go! Have fun!" Many thanks to all her loving and dedicated caregivers she was blessed to have help her through her final years. Best wishes or comments to the family may be made at http://www.nelsonfuneralhomes.net. Donations in memory of Betty Berkstresser may be made to National WASP WWII Museum, 210 Avenger Field Rd., Sweetwater, TX 79556 (http://waspmuseum.org); your local flying school (https://www.aopa.org/learntofly/school/index.cfm); or feel free to just “go flying” – she would like that. Original post written by Betty's family. "My favorite word? Oh, honor. That to me is more than a word. That’s a way of life. I mean, I’d die for honor. That sounds melodramatic maybe, but, that’s how I feel." Pioneering woman pilot, silversmith, lapidarist, silk screener, airbrush artist and humanitarian Florence Shutsy Reynolds took her last flight on March 15, 2018, her journey complete, her mission accomplished. She gave the very best of herself and her talents to lift other people by sharing her message of honor, patriotism, friendship, kindness, generosity, and compassion. The world may be a little less bright today, but her legacy lives on through all of us who loved her. We will never, ever forget her. Florence Genevieve Shutsy was born ninety-five years ago to John and Anna Shutsy in Connellsville, Pennsylvania. She was the youngest of four children (brothers A.J. and Irvin and sister, Eleanor). Eventually, the young family began raising poultry, and young Florence was given her first job: taking care of thousands of young chicks. From her earliest memories, Shutsy dreamed of flying. Perhaps it was watching the mail plane pick up the mail by flying low over 2 poles to 'hook' the mail. Once she saw that first airplane, she began making models (the kind you cut out with a razor blade). Her collection grew to hundreds. She loved to tell the story of her dad asking the kids what their dreams were, as they sat around the dinner table. When he told her she was still a little too young, she replied, "I'm gonna learn how to fly!" Laughter rang out. Years later, she still smiled when she teased them, because she did what she said, and none of them could remember anything they said. She saved up her pennies, bought Roscoe Turner's famous book on Aerobatics and studied it front to back. She didn't understand it all, but she was learning, always learning, about flying. She graduated High School in 1940 and began saving for college. On December 7, 1941, the Japanese attacked Pearl Harbor. Like all of America, the small town of Connellsville was deeply affected, as young men signed up to do their part. "There was this surge of a patriotism…I mean I grew up learning….by the time I was 5 years old I learned how to salute. We all did. We put the gold star out for my uncle that was killed in world war I…and we had the old uniform. We read the old letters. I grew up on patriotism." She immediately took a job in Pittsburgh and started business school. Factories were desperate for workers, and her skills at computing payroll eventually landed her the job of head of the payroll department. She was only 19. She saw an ad in the paper for the last class of non-college students for the government-run CPT (Civilian Pilot Training) program. "You had to be 18, so when I filled out the application and the medical doctor was filling it out, he said, you realize that you have to be 18 for this, and I said, Yes sir, I do." Technically, she didn't actually lie, but she corrected the record as soon as she turned 18. After completing ground school, Shutsy took the civilian pilot written test and scored in the top two. The top five students had been promised a scholarship for flying lessons, but she was told, "There's a war on and you're a girl." She began a letter-writing campaign and, eventually, was awarded the scholarship. "By the time I got it, I was all by myself in this group. I remember getting into this J-3 cub-- first time I’ve ever crawled into an airplane. I thought it was gonna shake itself apart. I loved every minute of it! My first flight was my first lesson. I still have the logbook where he checked off my attitude, my coordination, my eagerness...I go thru it every now and then to see just how eager I was. Eagerness was always a high mark." After her solo, her sister, Eleanor, saved money to help pay for Shutsy's flying time. Every Sunday, her dad would go up with her. Once she built up enough hours, she applied for the Canadian Air Force and the Royal Air Force. She was too young. It was then that she learned about the women's training program in America. Still too young to apply for the WASP, she began writing Jacqueline Cochran a letter every week, and every week, a letter would come in reply: "You're too young." When she found out the WACS had lowered their age limit, she made sure Miss Cochran knew and, eventually, she received a telegram ordering her to report to Harrisburg for a physical. As she later recalled, "I was in 7th heaven!" After the interview, physical and tests, she was accepted into class 44-W-5, paying her own way to travel to Sweetwater, Texas in December of 1943. On June 27, 1944, Shutsy and 71 classmates completed seven months of Army Air Force flight training and graduated, earning their silver WASP wings. After graduation, Shutsy's orders sent her to Merced, California to the Basic Flying Training school, where she flight tested BT-13's and AT-6's. "If airplanes underwent maintenance, especially overhauls, engine changes, or any major changes, they would have to be test flown before the male cadets could fly them. That was my job as a WASP." After the WASP were disbanded on Dec. 20, 1944, Shutsy became part of the Army Air Communication Service, the Air Rescue Service, the Weather Station and Army Technical Group out of the Anchorage and Alaska district. She served as an instructor in Link Trainers. While in Alaska, she met her future husband, Lyle A. Reynolds. 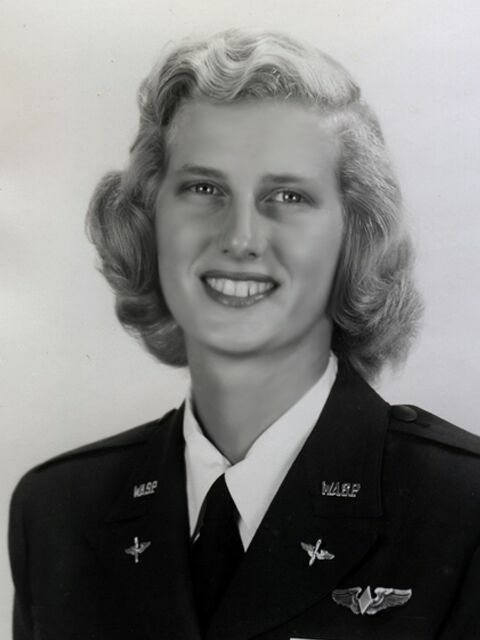 On July 7, 1949, she joined the USAF Reserves as a 2nd Lieutenant. Her first assignment was Langley Field, Virginia. She was promoted to First Lieutenant and assigned to headquarters Air Reserve Center in Denver. In November 1952, she married Lyle and they lived in the Panama Canal Zone for the next 16 years. While in the Canal Zone, she was assigned to the USAF Reserves, Caribbean Air Command and was promoted to Captain in October 1956. She resigned her commission in October of 1960. During her time in Panama, Shutsy began to blossom as an artist and silversmith. Together, the young couple began to enjoy lapidary. By the time they left Panama, they had completed a specially commissioned coral and bloodstone heart for a fifteen foot cross for the Episcopal Church of Panama. Lyle chose early retirement and the couple moved back to Connellsville following a serious illness and the death of her father. They began a jewelry workshop as a hobby and eventually, turned it into a jewelry shop. 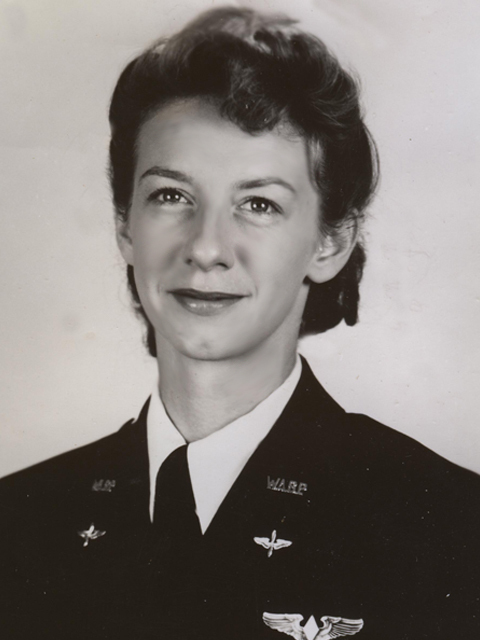 Following the death of her husband in 1988, Shutsy became more involved in the National WASP WWII Organization and volunteered to take charge of the WASP WWII Stores. Shutsy spent the next 20+ years in her shop in Connellsville creating and reproducing beautiful silver wings and wing jewelry to help share the history of the WASP. Her 3' x 12' airbrushed banners were each created especially for WASP and visitors to sign at airshows and aviation events across America. During her tenure at Stores, she designed the WASP WWII Flag, which was voted OFFICIAL WASP WWII FLAG by the WASP organization. She also created the WASP SCARF, which is still worn proudly by WASP across the country. In 1994, Shutsy designed the WASP 50th Anniversary commemorative medallion, the WASP WWII collectible pin and in 1998, the logo for the Kids of the WASP. American Campaign Medal and the World War II Victory Medal. She was also awarded an honorable service lapel button and Woman’s Army Corps Service Medal. 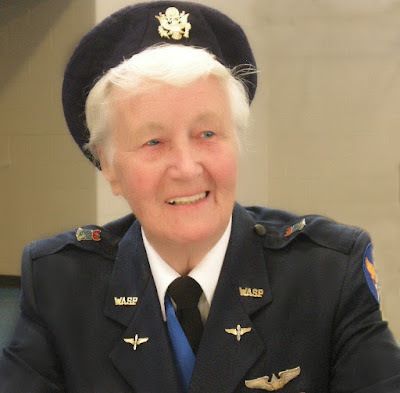 She was a ground instructor certified in Link trainer, navigation, meteorology, aircraft, and engines. She was a proud member of the Daedalians and in 1999, she was inducted into the International Forest of Friendship. In 2011, the Falcon Foundation nominated Shutsy for the Connellsville High Hall of Fame, and in 2016, The Connellsville Airport Terminal was renamed “Shutsy Reynolds Terminal”. Shutsy was a member of St. Johns Church in Connellsville. She could hear the bells from her front door. Along the way, Shutsy made many, many friends...never, ever met a stranger...and spread joy and boundless enthusiasm. She did it with honor and integrity, with kindness and with courage through some pretty tough health challenges. She was preceded in death by her parents, John and Anna, her husband, Lyle Reynolds, brothers Louis (Mary), Irvin (Annabelle), sister Eleanor (Henry) Michalowski. Those surviving to honor her memory include nieces and nephews Bonnie (Edward) Franko, Jerry (Kathy) Shutsy, Cindy Shutsy, Nancy (Dave) Felcher, Carl Shutsy, Janet (Kerry) Barvincak, grandnephews Scott and Christopher and grandniece Brandy (Paul). In lieu of flowers, please consider a donation in Shutsy’s memory to the Animal Protective League of Cleveland, where she rescued her beloved puppy, Cesar or to a charity of your choice. Respectfully written by Nancy Parrish, with quotes from the Wings Across America's interview with Shutsy Reynolds. If kindness, curiosity, humility, humor, generosity, persistence and honor could be rolled up into one person, it would be Shutsy Reynolds. Those words are synonymous with the gentle, yet spunky lady pilot from Pennsylvania who blazed a trail and raised the bar. She was my friend, our champion, our first supporter as we began Wings Across America. I could never repay her kindness, but I was excited to use her likeness and her quote on the walls of our "Flygirls of WWII" WASP Exhibit. I designed it to be six feet tall because to me, all the WASP are larger than life. I will miss her. I will miss her encouraging voice and her unique, soft chuckle when she laughed. But I am so grateful for the joy of knowing her and so honored to have called her my friend. She still is. I remember the old Indian legend her husband told her about. When lightning strikes from the cloud to the ground, if you look quick, you might see what is waiting for you in eternity. For Shutsy, she was hoping for a Stearman with her name on it. She added that she might want to renegotiate for an AT-6. As a Jesus follower, I am certain my friend, Shutsy Reynolds, is flying high in whatever plane she chooses from her brand new hangar full of planes. Fly high, my friend. We are all better because we knew you. God bless all of the those touched by this extraordinary woman. 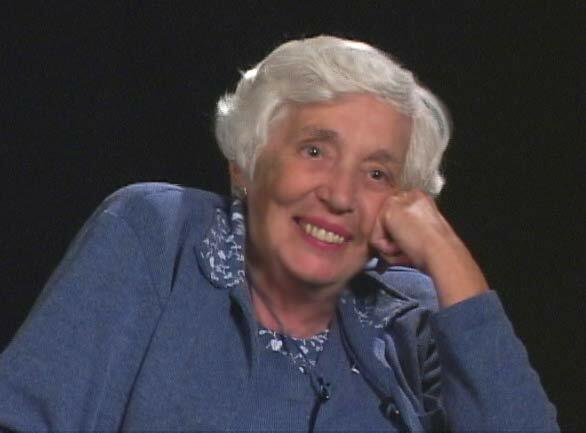 Carla Howard Horowitz was born May 28, 1922, in Chicago. It was there she began her schooling until her second year of high school, when she attended The Edgewood School, in Greenwich, Connecticut. This was a small co-ed boarding school (a shocking concept in 1936). In her senior year, she joined the Civil Air Patrol, where she had some ground school, but never flew. 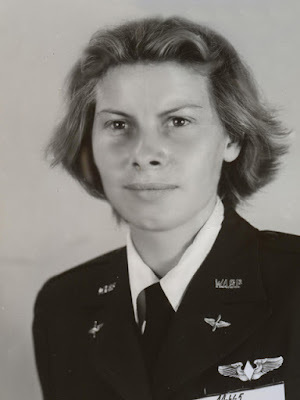 When she graduated from college, she applied to the WASP, was accepted, and in March, 1944, traveled to Sweetwater to enroll in the class of 44W8. About half of her class washed out, so she felt very lucky to receive her silver wings in September 1944. She was assigned to Blacklands Airforce Base in Waco, Texas, where she flew as an engineering test pilot until December 20th, 1944, when the WASP program was terminated. She felt the women were told, in effect, that there were now enough male pilots and they were no longer needed. It is noteworthy also that the women service pilots were paid less than the men. After the WASP were deactivated, Carla moved to New York City where she worked in publishing for a number of years as assistant editor of Black Mask and Dime Detective, classic pulp publishers of Dashiell Hammett, Erle Stanley Gardner, etc. After that, she worked at Merrill Lynch, Pierce Fenner & Beane in the public relations department and later became a financial reporter for their publication Investor's Reader. Carla married Milton Howard in 1947, and she and her husband adopted two children. She stayed home with son James and daughter Emily until 1965 when Milton was diagnosed with cancer, and it became clear that she would have to earn a living. She went back to school, at Columbia University, earned an M.A. in remedial reading and then went into private practice. She sought further training in administrating and interpreting psychological tests and was a much sought-after psychoeducational evaluator as well as a remedial therapist. Carla was known as a superb teacher of children with learning disabilities, making the practice of necessary skills enjoyable through a multitude of ingenious, self- invented games as well as through the very real pleasure she took in engaging with her students. With intellect and heart in equal measure, little escaped her interest, curiosity, or ebullient enthusiasm, from the cultural offerings of her adopted New York City to the science and wonder of all aspects of the natural world. In recent years, she shared an office with her psychoanalyst husband. They both retired in 2006...she confessed that she loved to tell people she worked until she was 84. Her husband died in February 2011. Her deepest affections were reserved for her family and many dear friends - love that was returned in spades. Carla is survived by a son, James, a daughter, Emily, and her 'darling grandson', Arlo Johnson. Life will not be the same without her. Respectfully, compiled from notes from Carla and official posting online. Photo from Wings Across America. Personal Note: I always looked forward to hearing from Carla. Our email correspondence spanned 15 years. Her emails were always gracious, kind, and encouraging. Her gentle spirit lifted so many, including me, and I'm so grateful for her friendship. She absolutely fulfilled her mission to be a hero. The WASP not only paved the way for other women pilots who followed, they freed up male pilots to fly combat missions. May God bless her family and all of those whose lives she touched.